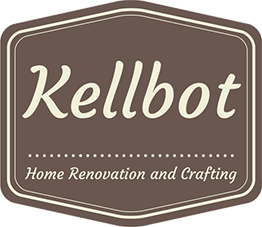 Our New-House Checklist - Kellbot! | Kellbot! 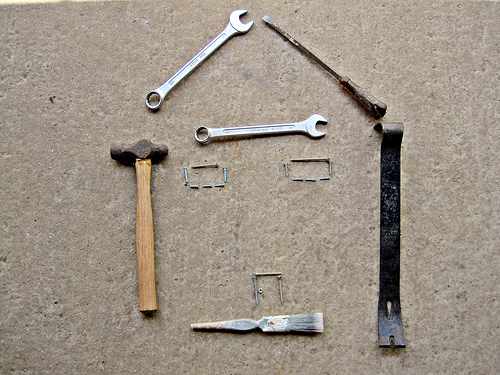 Offbeat Home featured an article asking “We bought a house, now what?” Since we’re in the process of getting our place ready for move-in, I figured I’d share what we did to keep organized. When we closed on our new place we started a Google Doc titled “New House Things.” Everything we need to do to or buy for the house gets shoved into this document. Since our time is split between two different states, Google Docs has been a lifesaver; it’s impossible to leave the list at the other house. The day we closed we started listing everything we might want to do to the house. And I do mean everything, from putting in hardwood floors to changing the burnt out light bulbs. The list was sorted into categories of things we needed to hire someone to do, things we could do ourselves but didn’t really want to (at 6 months pregnant I’m not super handy around the house), and then everything else. Not everything on this list will get done before we move in, or even within our first year of living there. Some of the things on the list would be considerably harder to do after move-in (e.g. painting) so those were on our must-do list. Others fell to the bottom; some were deprioritized for financial reasons, some because we decided they weren’t that important, and some because we’re just too tired to think about them. We use the same Google doc to store our shopping list, with everything we need from toilet paper to furniture. We also use it to store the paint colors we picked out and the phone numbers of the contractors we’re using. In short, everything we need to get the house in order is in this one document which I can access from my laptop, desktop, and phone. Add some sort of tread to outside stairs?